WHO? WHAT? WHEN? WHERE? WHY? AND HOW MUCH? Life is full of mysteries, travel even more so. Why are the trains always late? And where in heavens is the gelateria? Here are some useful question words to help you find enlightenment (and the ice cream shop). When does the gondola leave? How do you get to Capri? Come si arriva a Capri? What can we visit in Calabria? Cosa c'è da visitare in Calabria? Who was the Doge of Venice? Chi era il Doge di Venezia? Why is the Colosseum so damaged? Perchè il Colosseo è cosi rovinato? Here's an interesting factoid for you: In Italian the word perchè doubles for for both why and because. You probably won't be asking Matteo for any more insight into the history of Rome's famous landmarks, but see how they both use perchè? So how do you know if it's a "why" or a "because"? You just have to listen to the intonation and context. Perchè il Colosseo è cosi rovinato? 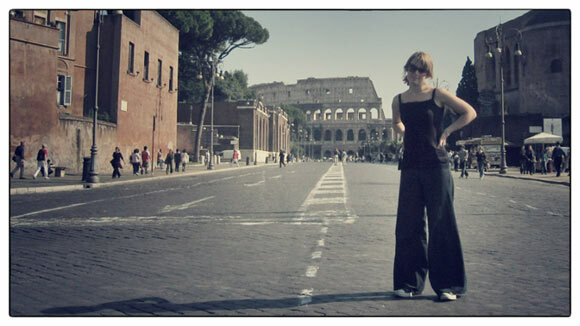 Forget the Colosseum, perchè those pants? But quanto deserves a little further explanation. Quanto è alto il campanile di Giotto? How tall is Giotto's bell tower? Quanta farina ti serve per fare la pizza? How much flour do you need to make pizza? Quanti posti ci sono nel teatro alla Scala di Milano? How many seats are there in the Scala theater of Milan? Quante persone visitano ogni anno Firenze? How many people visit Florence every year? 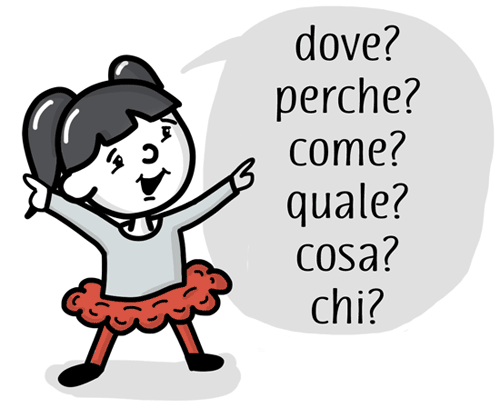 Did you see how the last letter of quanto changed in those examples? The reason the last letter changes is to agree with the number and gender of the thing it's talking about. In the above examples, Giotto's bell tower (il campanile di Giotto) is masculine, and singular, so it uses quanto with an ‘o’. The flour (farina) in the pizza is feminine and singular, so it uses quanta with an ‘a’. The seats (posti) in the Scala theater are masculine, and there is definitely more than one of them, so it uses the masculine plural form quanti with an ‘i’. And the Italian word for people (persone), regardless of their real gender, happens to be feminine. In this case we're talking about more than one person, so we use the feminine plural form quante with an ‘e’. Usually exceptions are bad, but here's one to make your travels easier. This one never has to change to agree with gender or number. So when you're negotiating the streets of Napoli and you spy a street vendor with an array of completely legitimate Louis Vuitton handbags, you don't need to wonder which version of "quanto" to use for borsa. You can just say "Quanto costa?"